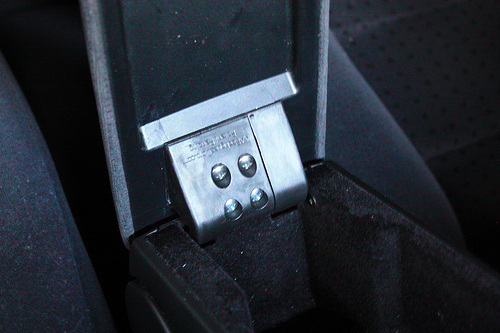 Armrest Lid Hinges for VW Golf, Jetta and Passat - Feedback and Reviews Page - AARodriguez Corp.
Our goal is to make and sell products that help you save money, and last almost a lifetime. If you aren't satisfied with a product that you buy from us I want to know about it. I want to do whatever it takes to satisfy you, or give you your money back. It really is that simple. Great job Andrew.The latches arrived 20 minutes ago and are now installed.Couldn't be more satisfied! Andrew sells an excellent Ordered these a couple weeks ago, they arrived within a few days and installed as easy as advertised. Great product that solves a problem I've had with my golf for several years! Anyone thinking about ordering from Andrew...stop thinking and do it. I emailed him last Sat or Sun about lid re-upholstery, a new latch and hinge. Friday my black leather re upholstered lid showed up with a new latch and one very stout new hinge. I said if the parts were half as good as his customer service I would be happy. Well I'm extatic. Not only do I finally have a fully operational center console for the first time in 3 years of ownership, but it looks great and there is no chance I will ever have to worry about it breaking again(just watch his video) and it only took about 10min to install. Thanks again Andrew, I cant say that enough. Should have my old lid in the mail by wed. YAY!!! I just saw this thread, watched the video and ordered the hinges My Golf's hinge was broken when I bought the car-kinda missed that so I am thrilled to have a fix it option. This is a great idea! I suggest you also sell on ebay- I'm sure there are people who end up buying entire new armrests from Hong Kong because they don't know any better. Can't wait to install it! Top-notch solution to a common problem. Fast free shipping and the install was a breeze. Thanks. Thanks for the speedy service. Repairs as stated earlier are simple, takes longer to get tools out and put back than the repair time. Ordered these a couple weeks ago, they arrived within a few days and installed as easy as advertised. Great product that solves a problem I've had with my golf for several years! Just wanted to say thanks again for making this happen. The hinges are AWESOME! Despite the fact that I almost screwed up the simple installation instructions. I got 'em on and they are the shizzz!